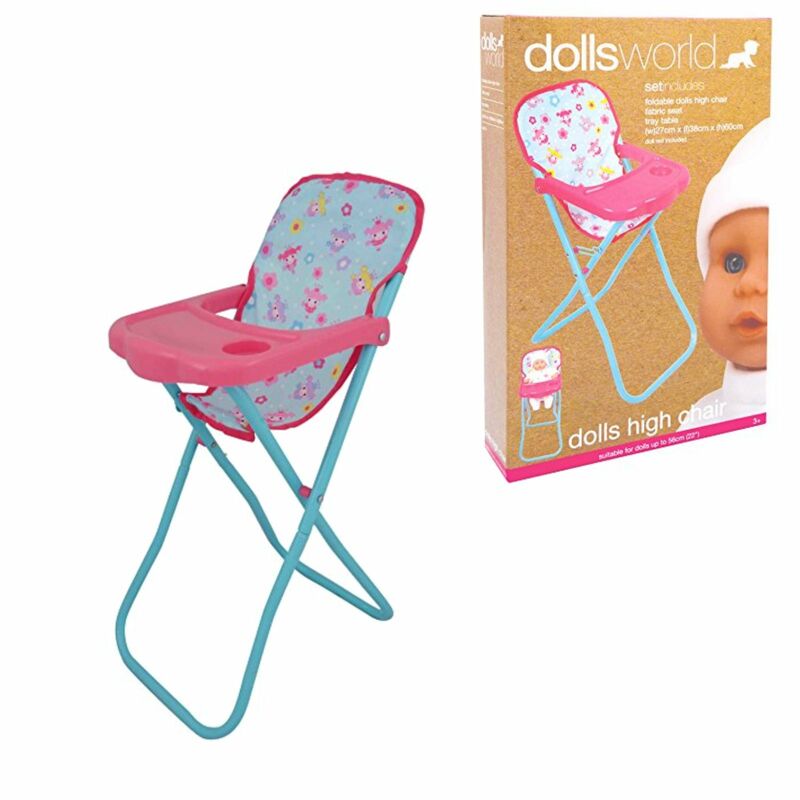 Doll's folding high chair with plastic tray and cup holder. 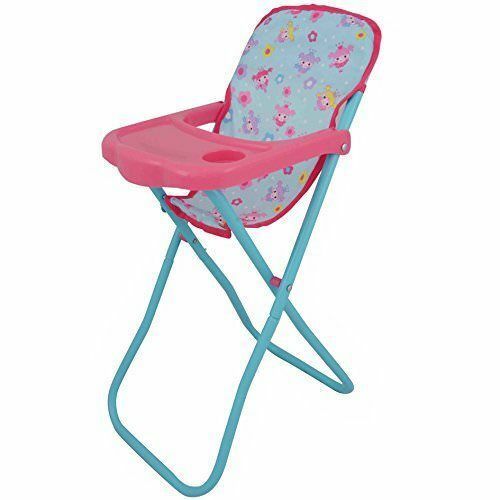 Pink & blue design on fabric. A great accessory for all dolls.